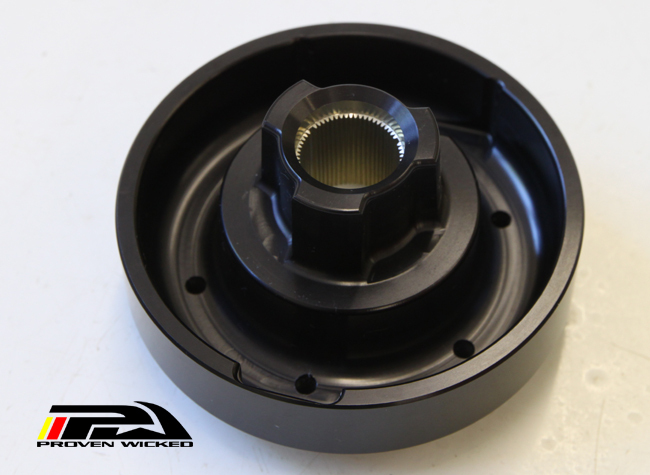 Use in conjunction with our Steering Hub Adapter and most 6 bolt racing steering wheels to add the functionality of a quick release to your steering wheel. Uses an easy to disengage ball bearing locking system coupled with splines to adapt to most 6 bolt racing steering wheels. Works great for removing the steering wheel for easy access in and out of the vehicle.